Our same great Suction Cup Window Signs printed on heavy 22 point high density white poster board are now available in plastic too! Suction Cup Plastic Window Signs cost less than window decals and are more effective. These signs hang from a window by a strong suction cup. Suction cup window hangers are sure to be noticed with your promotional business or campaign message. 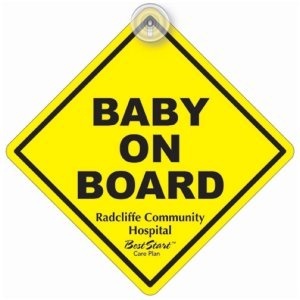 People are more willing to place one of these signs on their window with a suction cup instead of a bumper sticker that is more permanent. Plastic Window Hangers come in approximately 5″ x 5″ size and are custom printed on .020 thickness flexible white matte plastic. Suction cups are included, but not attached. Please note: Product is not for use by children under 12 years of age. Plastic Window Hangers can be written on with a ball point pen. These Window Signs are ideal for schools with parent pick-up. Give each student’s family plastic window signs to display name of student being picked up and have enough for grandparents too or anyone else authorized to pick up student. An additional $15 non-refundable artwork charge per color, per side must be paid before work can begin on your job. Add an additional $45 charge for logos and/or photos. If acceptable artwork cannot be provided, additional art charges will apply. No PMS charge for standard colors. For custom PMS color match, add an additional charge of $40 per color. Made in U.S.A. label is available upon request – no charge.